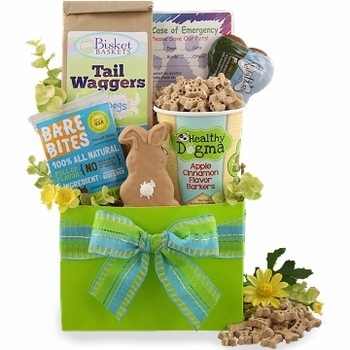 Tail Waggers 100% All Natural Cheezy Bacon Dog Treats 6 oz. Healthy Dogma Apple Cinnamon Flavor Barkers 6.2 oz. 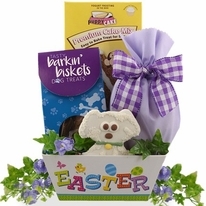 Let Fido celebrate this Easter with his own unique and adorable Easter doggie gift. 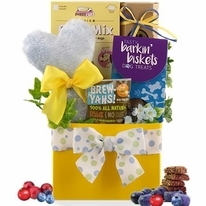 Our Happy Tails Easter Dog Gift is filled with an assortment of delicious and tasty biscuits and is an excellent choice for any canine friend. 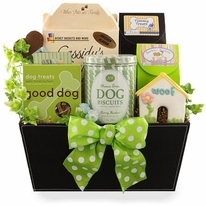 Easter only comes but once a year so make sure Fido gets an Easter gift to hunt for too! 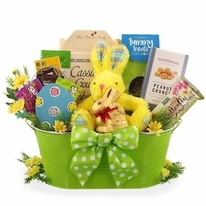 Click on the details tab to see everything included in this great basket.